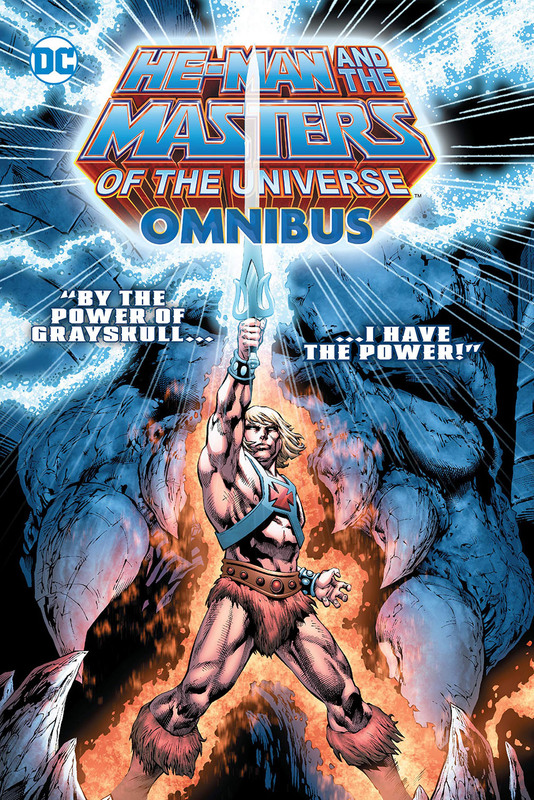 "The DC Comics adventures of He-Man, prince of Eternia, are collected in a single, massive Omnibus at last! DC COMICS PRESENTS #47, HE-MAN AND THE MASTERS OF THE UNIVERSE #1-6 (2012), HE-MAN AND THE MASTERS OF THE UNIVERSE #1-19 (2013), HE-MAN: THE ETERNITY WAR #1-15, DC UNIVERSE VS. MASTERS OF THE UNIVERSE #1-6, HE-MAN/ THUNDERCATS #1-6 and the MASTERS OF THE UNIVERSE specials THE ORIGIN OF HE-MAN #1, THE ORIGIN OF SKELETOR #1 and THE ORIGIN OF HORDAK #1 and more! From such legendary creators as James Robinson (Starman), Dan Abnett (Aquaman) and Keith Giffen (Justice League International), the further tales of He-Man and the Masters of the Universe are here! Collects He-Man and the Masters of the Universe #1-19, He-Man: The Eternity War #1-15, DC Universe vs. Masters of the Universe #1-6, DC Comics Presents #47 and He-Man/Thundercats #1-6." Hardcover for $150.00 consisting of 1496 pages!. and on Amazon February 26th, 2019. Click here to pre-order yours on Amazon!